Work has begun on a long-anticipated supermarket in Ballymun, much to the delight of those living in the area. 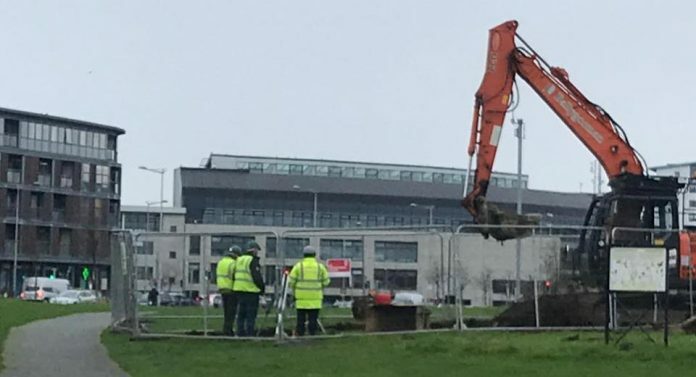 Construction began on a new Lidl store in Ballymun last week, marking the beginning of major development in the locality as French sports giant Decathlon are to begin work on their new outlet near Ikea in the area in the near future as well. Planning permission was granted for the new store in early 2018, following the lodging of a planning application in 2017, meaning the development has been a long time coming for the Ballymun area. Welcoming the news of the new supermarket, and the creation of several jobs for locals, Independent councillor Noeleen Reilly said it is great to see works begin. Reilly said: “It feels like we are talking forever about Lidl coming to Ballymun, but it is great to see works finally start today and it is expected the entire project will completed in 2020. “Most residents are very excited to see Lidl coming into the area after decades of underinvestment in shops and businesses. The biggest failure of the Ballymun regeneration was retail activity, people feel very let down after a lot of false promises. We need to see more investment in Ballymun and hopefully Lidl will be the catalyst for that. 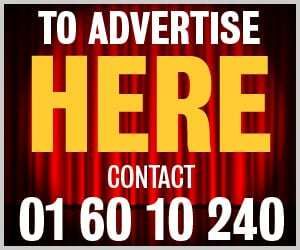 “There is a huge population in Ballymun, and we are crying out for retail facilities to cater for us. Ballymun will get a huge employment boost in the coming years, with sport store Decathlon also set to open in the locality.